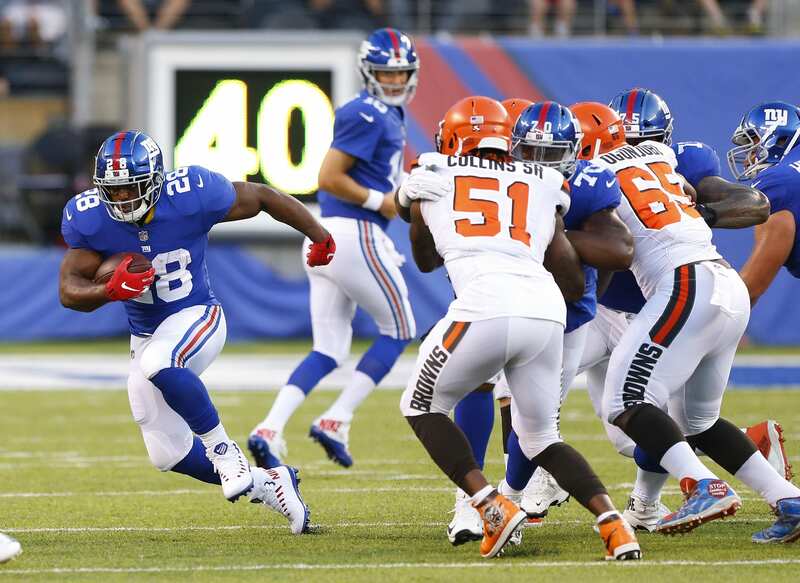 As we wait patiently for the second preseason game of the year to come around for the New York Giants, it’s time to evaluate the positives and negatives from the first. There was a lot of good, but to be quite frank, there was more bad. Second-year quarterback Davis Webb led the night in negatives, as his footwork was sloppy and his accuracy was even worse. Several overthrows and missed reads proved to quiet the narrative of his practice success. Now, of course it’s important to notice his lack of live-action over the course of the past year – in other words, there was none. He hasn’t played in a game since last preseason, which will unfortunately force him to adapt to the speed of an NFL game. Personally, I’m a big fan of Webb, and seeing him struggle was hard to watch yet understandable. After the game, he stated that he was too excited and nervous. Considering the pressure he’s under to succeed Eli Manning, it’s only fair we give him the benefit of the doubt. He’s human after all. Webb is a maniacle worker – he’s the first to arrive at the facilities every morning, and the last to leave. Of course, being attentive and obsessed doesn’t guarantee success, but it sure does help in the potential to reach it. Cornerback Eli Apple struggled severely in week one, can he bounce back in week two? Apple was beaten badly on several occasion in the first quarter against the Browns. Rashard Higgins was the culprit, making Apple look like a rookie in this clip. It seems that Apple is trying too hard to keep his assignment in-front of him and turn his head around that he was beaten easily on a swim move. The third-year corner was pushed to the side by the reserve wide receiver, which is a cause concern considering Apple is the Giants’ No. 2 corner. The corner will need to work on playing press more effectively and keeping his man on his front foot, rather than his back where he can break to the interior and expose the post route. Can Jonathan Stewart run at speeds faster than 5MPH? The signing of running back Jonathan Stewart was a strange one, especially after Gettleman offered him $6.9 million over two years. The former Carolina back is on the back end of his career, and it sure seemed that way in his first preseason game with the Giants. To be quite honest, it seemed as if Stewart was carrying Saquon Barkley on his back…literally. He was moving in slow-motion and missing blocks at an extreme rate. Again, it’s only the first game with an entirely new team, but a veteran back of his caliber should be able to show more quality than he presented in week one. Hopefully, he can show some sort of value in his second live-action with the Giants.